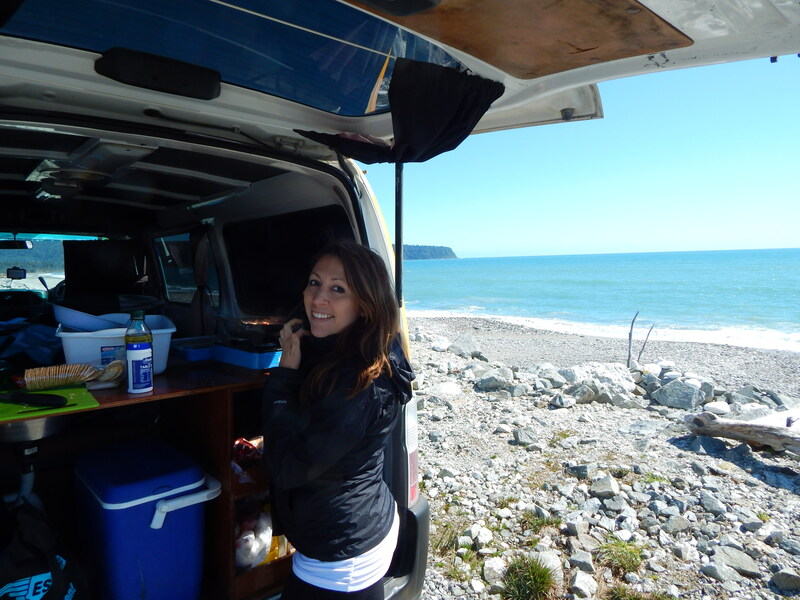 As promised, here’s the report on the second part of our New Zealand adventure (part one is here), in which we explored the South Island in our trusty camper van. Since we saw so much in the South Island, I decided to break this post into two pieces, so as not to overwhelm. New Zealand can overwhelm. Al and I had heard before we came to New Zealand that the South Island was where the really impressive scenery was, but I don’t think we appreciated how beautiful — and varied, and, in some cases, extreme — it would be before we saw it with our own eyes. 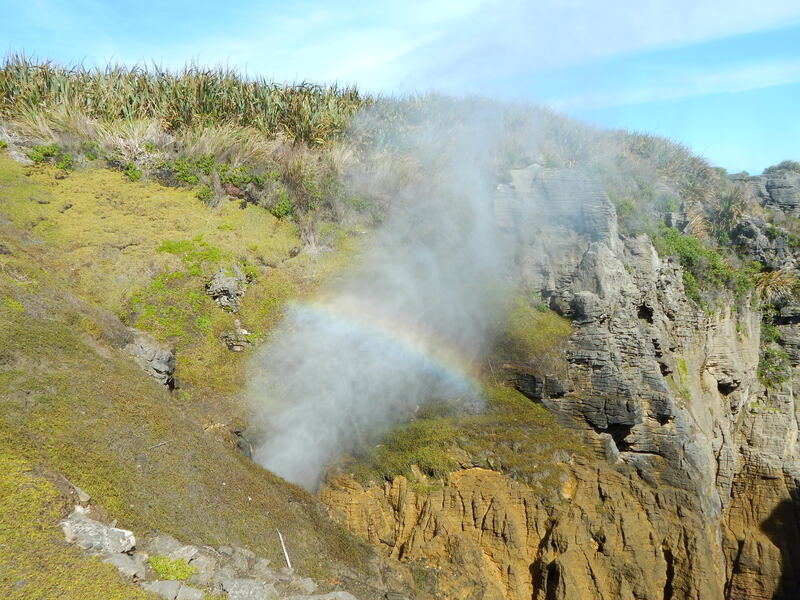 Although we didn’t travel through all of the North Island, and I’ve heard that the northern part of the North Island is spectacular, Al and I both agreed that the South Island was, overall, way more interesting. 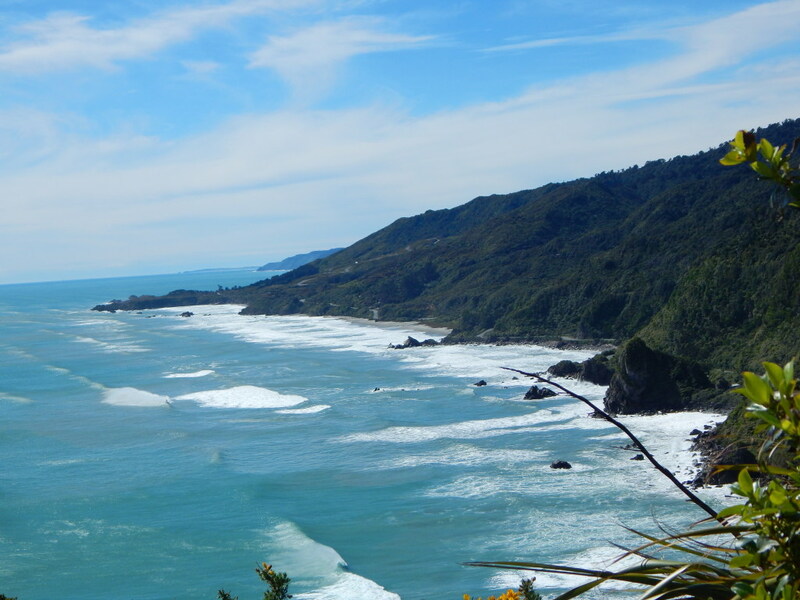 If you only have a week to spend in NZ, spend it on the South Island; I promise you won’t regret it. 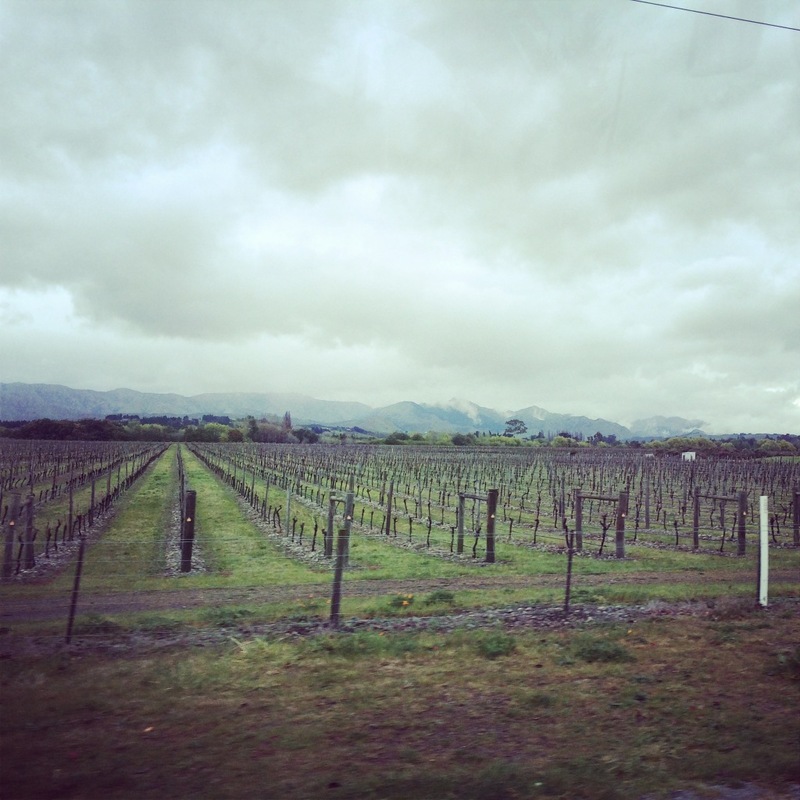 After taking the ferry from Wellington, we started off in Blenheim, which is situated right in the heart of Marlborough, one of NZ’s best known wine regions. Blenheim, like most wine country towns, is pleasant and peaceful. Even the low-fuss campsite where we stayed was charming, with wandering sheep and rolling hills. But the main reason one comes to Blenheim, of course, is not for the scenery or the sheep, but for the wine tasting. Given the whole pregnancy thing that’s been happening, I played the designated driver for the day and ferried Al from winery to winery. I took sips of the wines and got an idea of what Marlborough has to offer (mainly, good aromatic whites, especially pinot gris, plus their famous, grassy sauvignon blanc, which is not my favorite but sure is distinctive), while Al got nice ‘n boozy and had a grand old time. I occupied myself by drinking a lot of flat whites (which, I’m convinced, are 99% milk and 1% actual coffee, which means it’s okay to have ten of them). To punctuate the wine tasting, we also had a great lunch at a pretty restaurant called Rock Ferry. 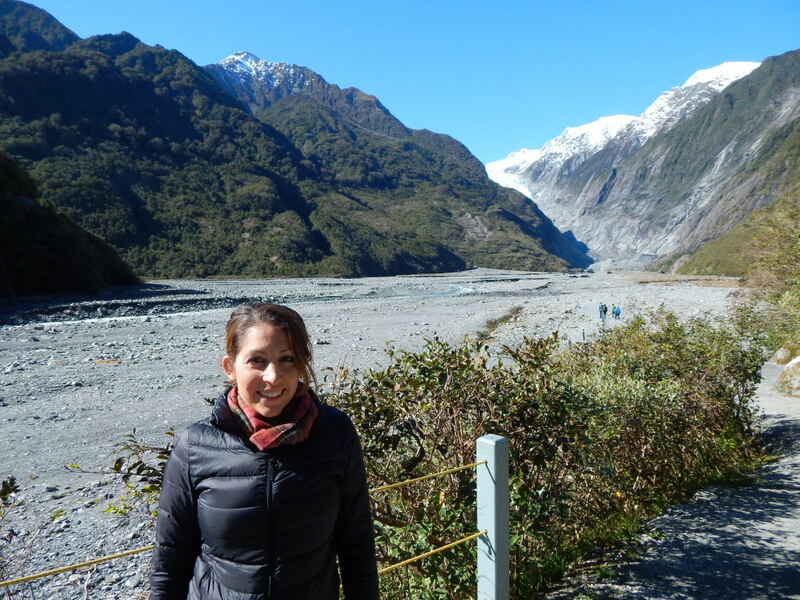 The entire next day we spent driving from Blenheim to Franz Josef, home of an eponymous glacier. 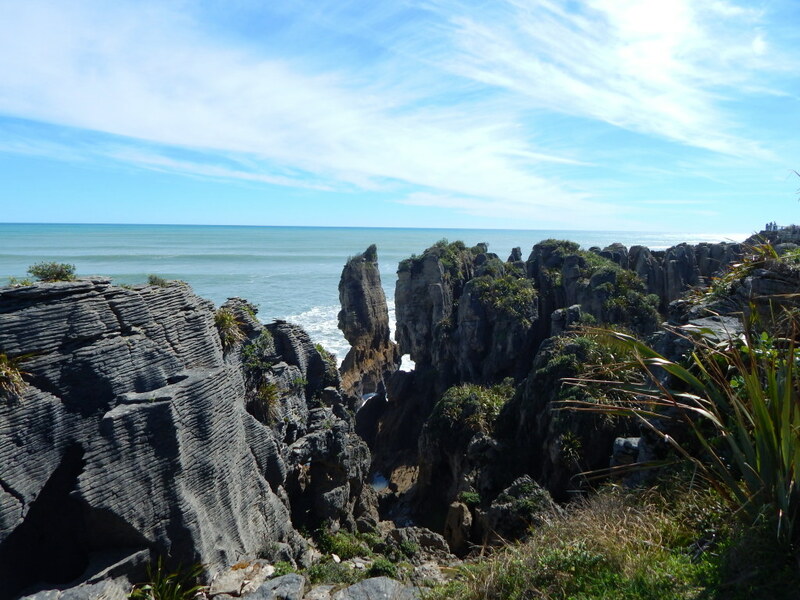 Along the way we stopped in Punakaiki to look at the pancake rocks and blowholes. In Franz Josef, in the morning, we took a hike out to view the glacier (you can’t get on the glacier except via helicopter), took some photos, and then got on the road to go to Queenstown. Driving into Queenstown, Al and I were treated to one of the most stunning natural views either of us has ever seen (and keep in mind that Al’s been to LITERALLY a hundred countries, so that’s really saying something). 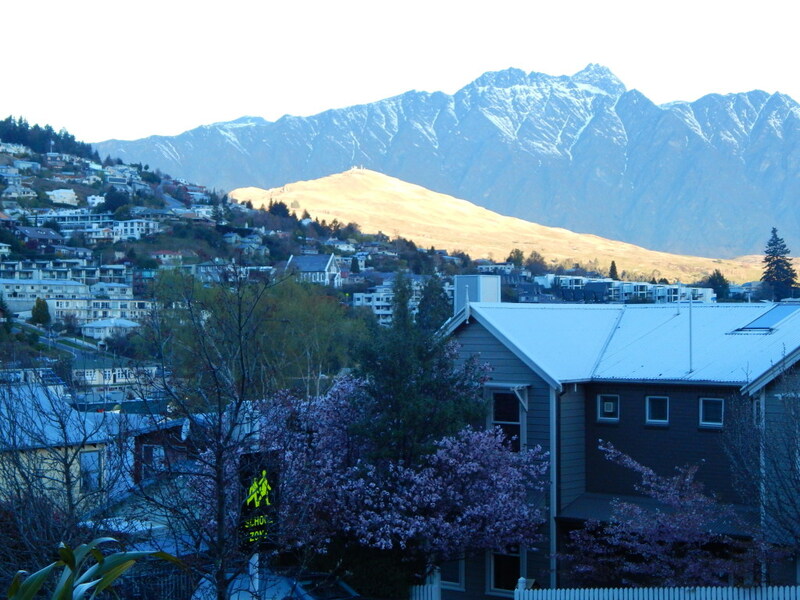 This doesn’t adequately capture Queenstown. Like, at all. 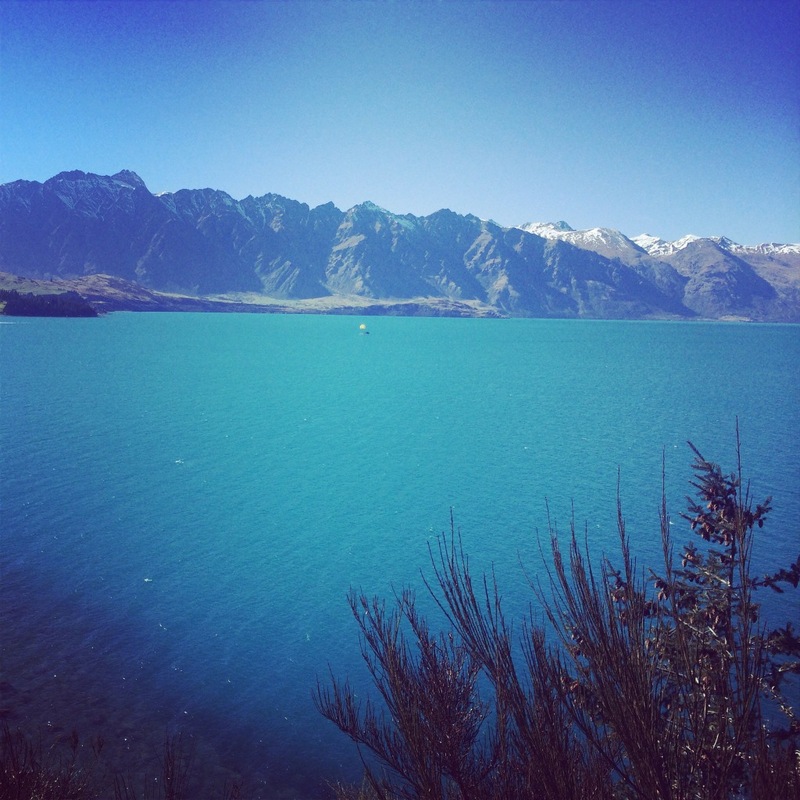 The town is nestled among several ranges of mountains and is situated along a bright blue, lightning bolt-shaped lake (Lake Wakatipu), which makes for some truly breathtaking views. The town itself reminded me of a cross between South Lake Tahoe and Vail — cute and touristy. 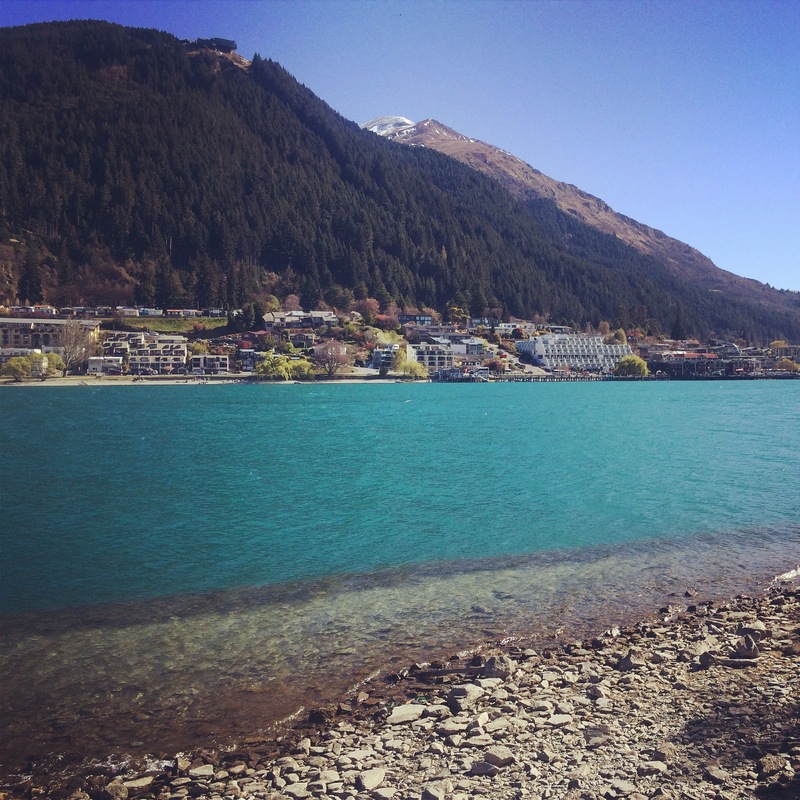 Queenstown is known for its scenery and for its outdoor (including adventure) sports. Again, being a preggo, I took a hard pass on the adventure sports, but I did go on some lovely runs along the lake (while Al did stuff like careening down a hill in a wooden cart — to each his own). We also ate some fantastic Thai food in town at the oddly named At Thai. Al claims his pad thai was the best he’s had in his life (and we spent three weeks in Thailand, so this is not faint praise). 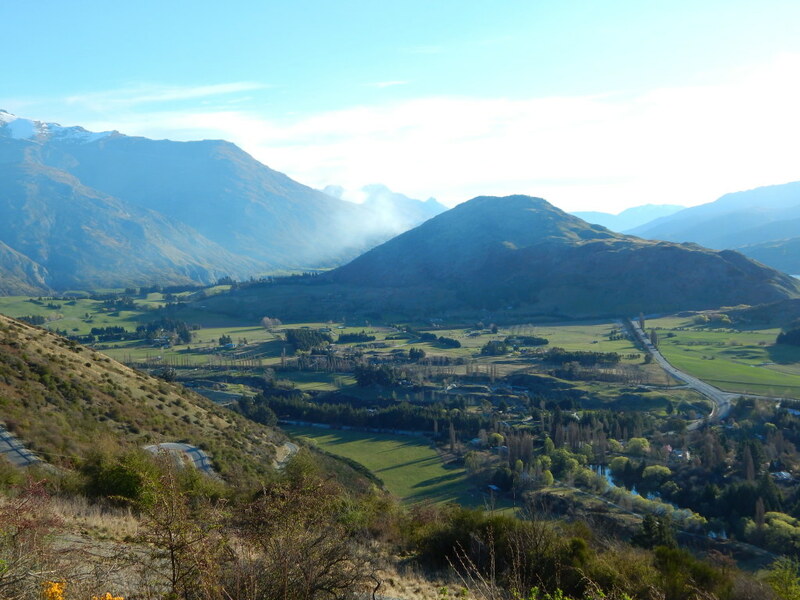 On our second day in Queenstown, we did some more wine tasting (okay, Al did most of it) in Gibbston, located in the Central Otago wine region. 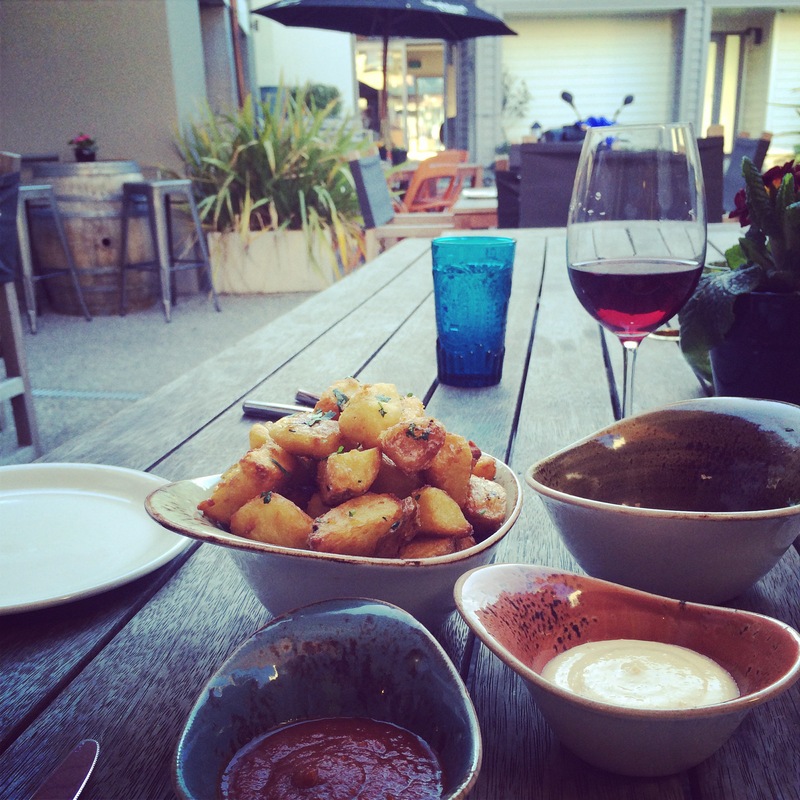 Central Otago is known for its pinot noir, which, to an American palate, tastes nothing like pinot noir. It’s fruity and jammy and not really my cup of tea/wine, but Kiwis seem very proud of it, so Al and I were diplomatic in our comments. After tasting at a few wineries, we drove to an adorable little historical town called Arrowtown for dinner. Arrowtown used to be a gold mining town and was home to a population of Chinese immigrants who showed up to work in the mines. 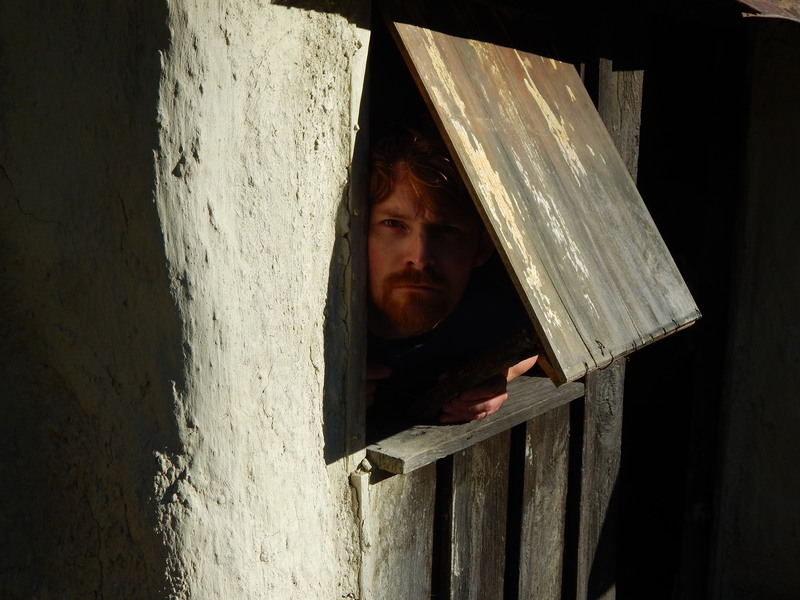 Today there’s a historic Chinese settlement with preserved buildings from the mining days, in which Al took many goofy pictures. We ate dinner outdoors at a tapas place called La Rumbla, and it was delicious. 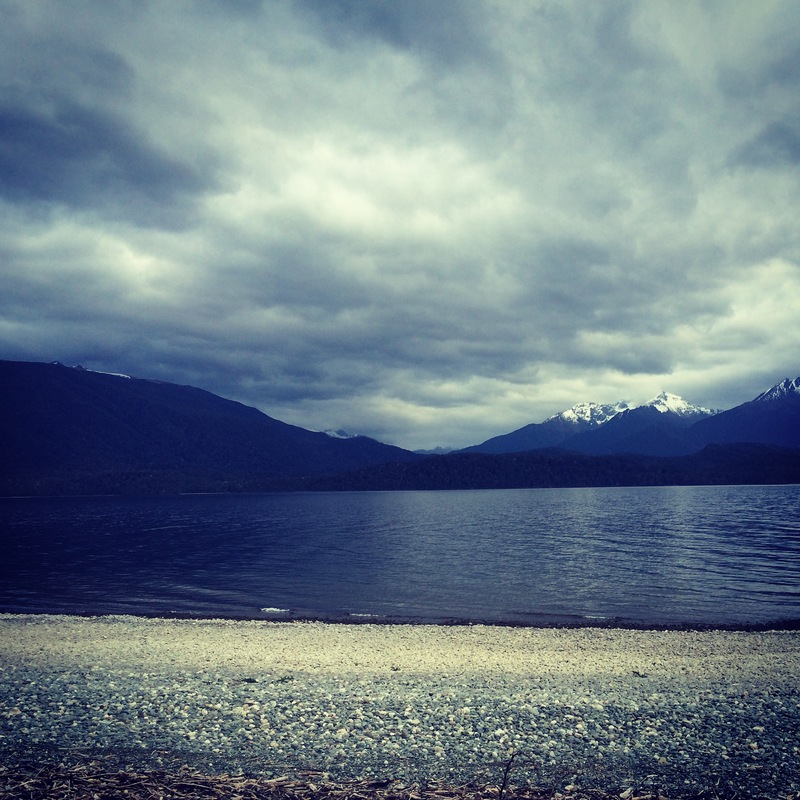 Our next stop after Queenstown was Te Anau, a town situated on Lake Te Anau, the largest lake on the South Island. 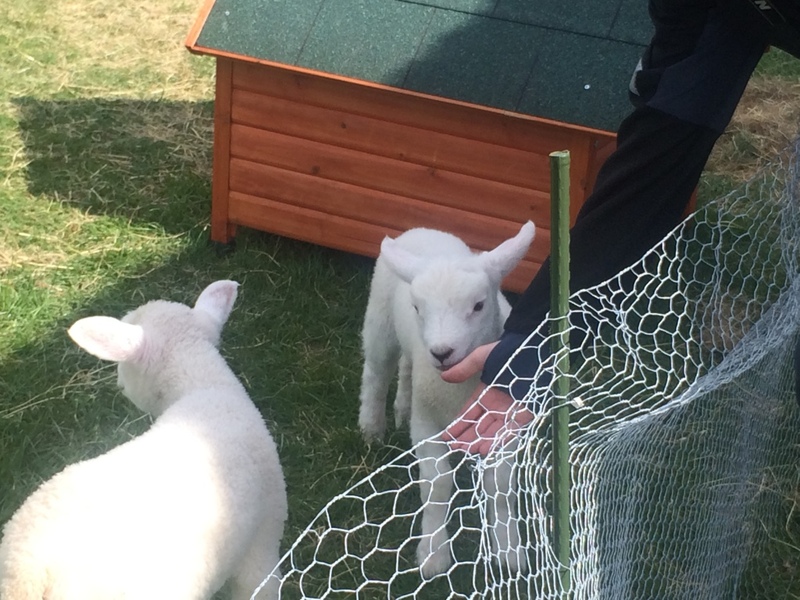 I really liked Te Anau; it was quiet and peaceful and, as an added bonus, our campsite had two lambs on the premises (and you could feed them with bottles!). 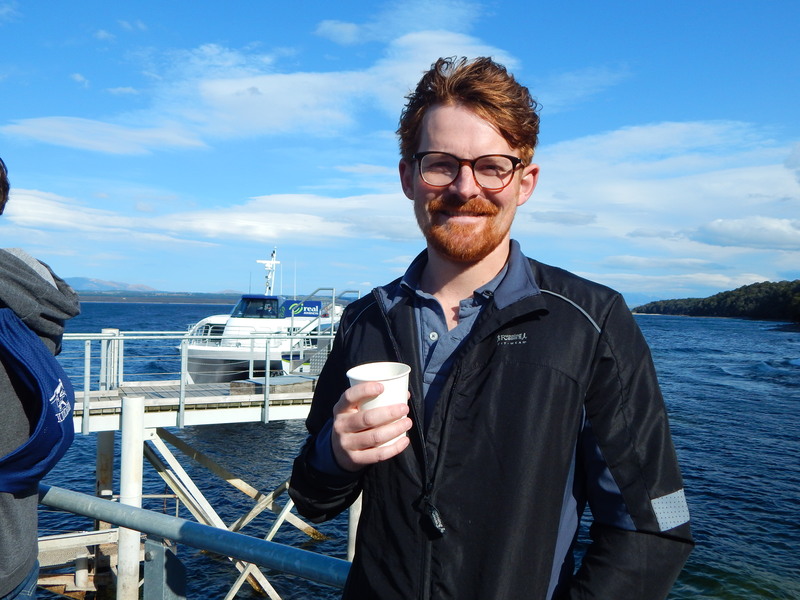 On our first day in Te Anau, we took a boat out on the lake to go see the Te Anau glowworm caves. Looking at the glowworms involved walking through a series of dark, dank caves filled with dripping and rushing water, then boarding some little boats and being rowed slowly though the pitch dark while peering up at the glowworms clinging to the cave ceiling above. Glowworms (AKA arachnocampa luminosa) are really beautiful in the dark — they look like a starry sky — but, as we learned during the presentation afterwards, they’re actually pretty gross. For one thing, they’re a species of “fungus gnat.” Try to think of something grosser than that. I dare you. They’re also cannibals who eat each other whole. Plus, they look super gross up close. I’m just telling you. On our second day in Te Anau, we drove to Milford Sound, a huge fjord within the appropriately named Fiordland National Park. Milford Sound is supposedly NZ’s most popular tourist attraction, mostly because the scenery within the fjord — waterfalls, glacial peaks, wildlife — is so spectacular. 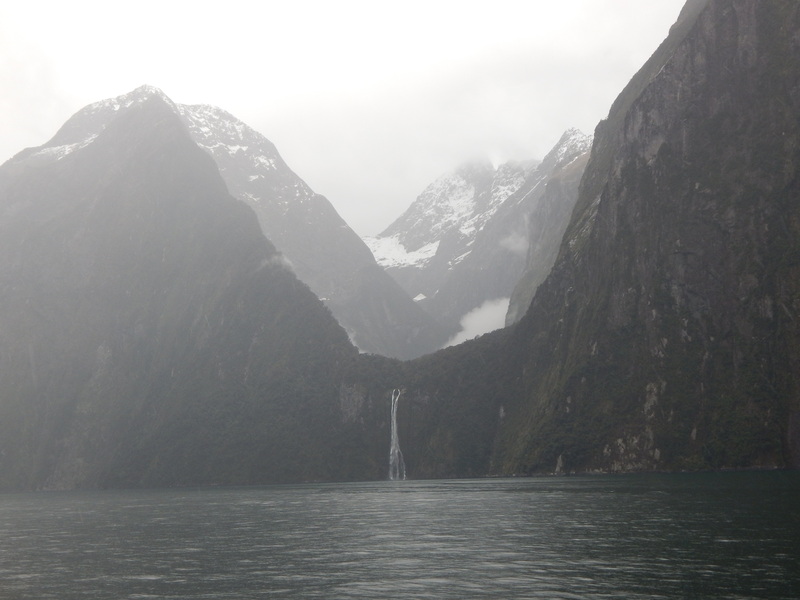 Unfortunately, the weather in Milford Sound is almost always heinous, and the day we went was no exception. We took a two-hour cruise around the fjord and it rained the entire time, plus it was windy, which caused the boat to rock, which caused me to clutch my flat white and grimace stoically out the window while Al went outside and took photos. Here’s what I’m learning about myself as I get older: boats aren’t my thing. In fact, pretty much every time I go on a boat, I end up regretting it. I inevitably feel seasick, and scared, and spend the entire time wishing the boat would just stop moving, already, which it never does. 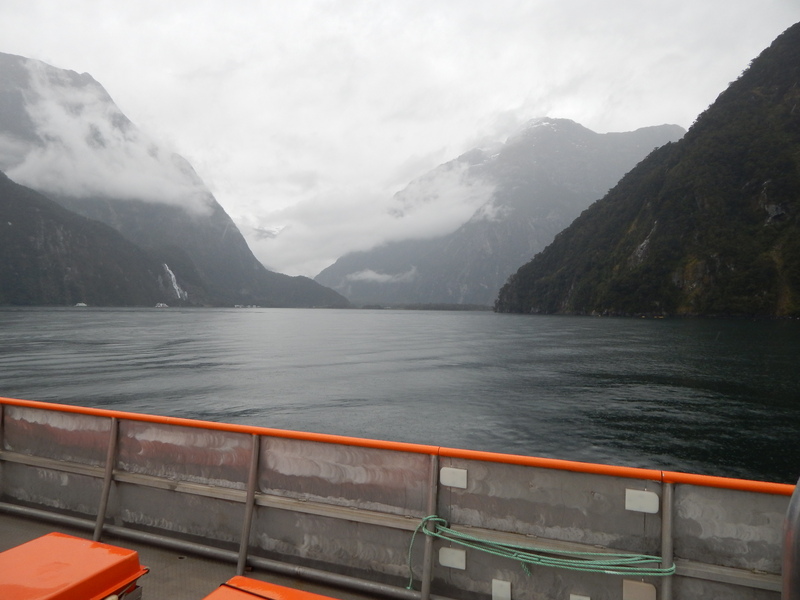 But despite all of this, I don’t regret taking the Milford Sound cruise, because we got to see two rare crested penguins just hanging out on the shore, plus a bunch of fat sea lions lolling on the rocks. 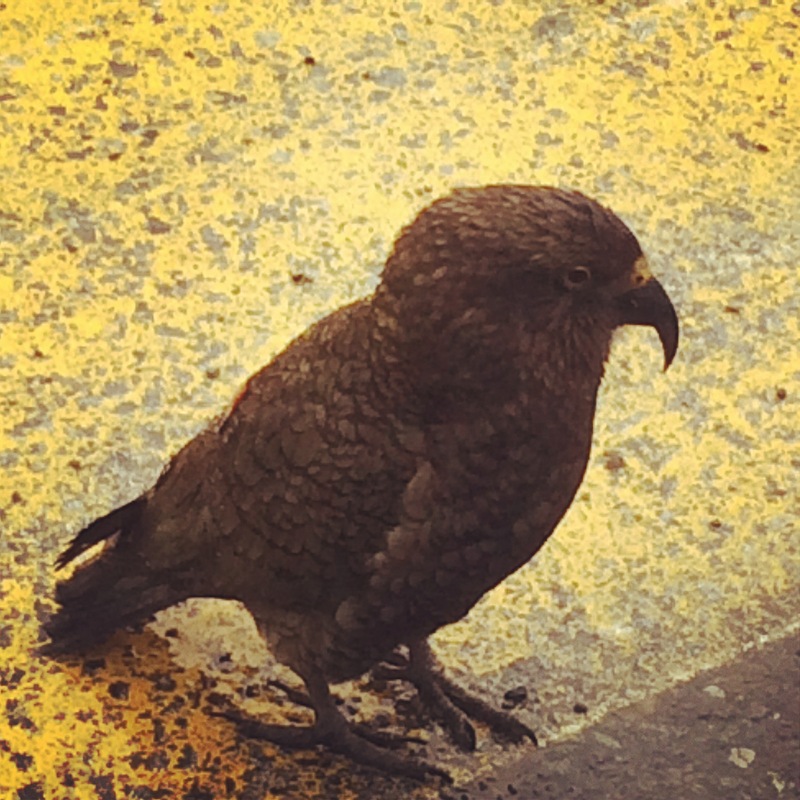 On the rainy and windy van ride back to Te Anau, we encountered another example of NZ fauna: the kea, a marauding parrot known for eating the rubber off of car tires and windshields. The keas we saw walked out onto the road where traffic was stopped and peered quizzically up at the cars and trucks, as if scoping out the best opportunity for rubber snacking. Luckily, our van escaped unscathed. Kea – look at that beak! 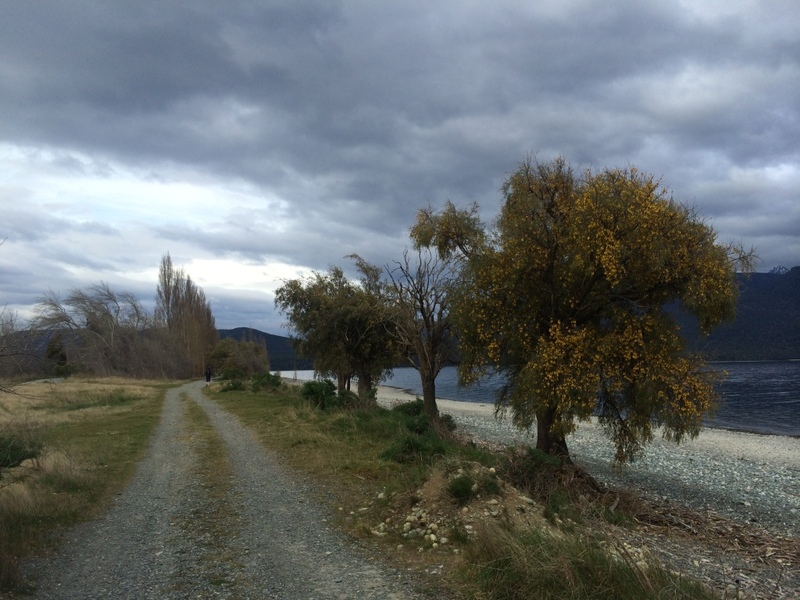 More on the rest of our South Island odyssey in the next post! 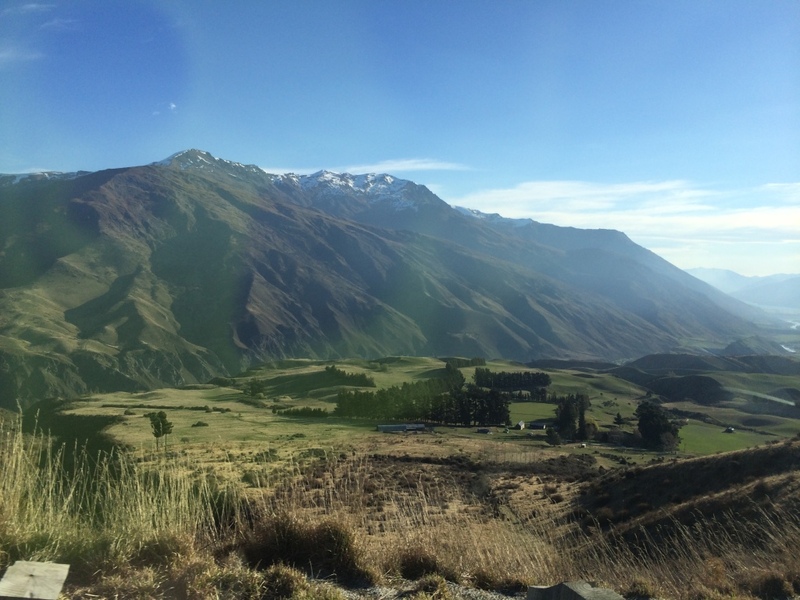 This entry was posted in Food and drink, Travel and tagged Alastair, Arrowtown, Blenheim, Central Otago, food, Franz Josef, Gibbston, glowworms, kea, Marlborough, Milford Sound, New Zealand, Punakaiki, Queenstown, Te Anau, Travel, wine on October 20, 2014 by Stephanie.